Getting in and out of Sushi Masa is much like trying to maneuver in a walk-in closet. Masa is just off Tenjinbashisuji, a shopping arcade that stretches nearly 3 kilometers, and as you might imagine there’s no shortage of places to graze and gaze at passersby. But at Tenma, toward the northern end of the shopping arcade, there’s a great mix of restaurants and hole-in-the-wall establishments that open on to a maze of streets and alleys near the train station. Masa specializes in serving affordable sushi in a cheerful atmosphere. But be advised: There’s a trinity of restaurants: Higashi (east) and Chuo (central), which are very near one another — and Honten (the main shop), close by Tenma Station. While none of the locations could be called spacious, the eastern post is by far the smallest. It’s also, usually, the easiest to get a seat at, and features chefs from three generations of a family. The bulk of the sushi is priced from ¥100 to ¥300. 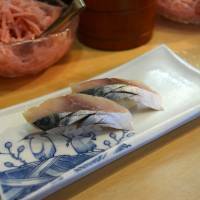 The selection here is slightly more narrow in comparison to the other two shops, but there’s plenty of crowd-pleasers from prawn to hamachi (yellowtail), squid, salmon and, of course, maguro (tuna). 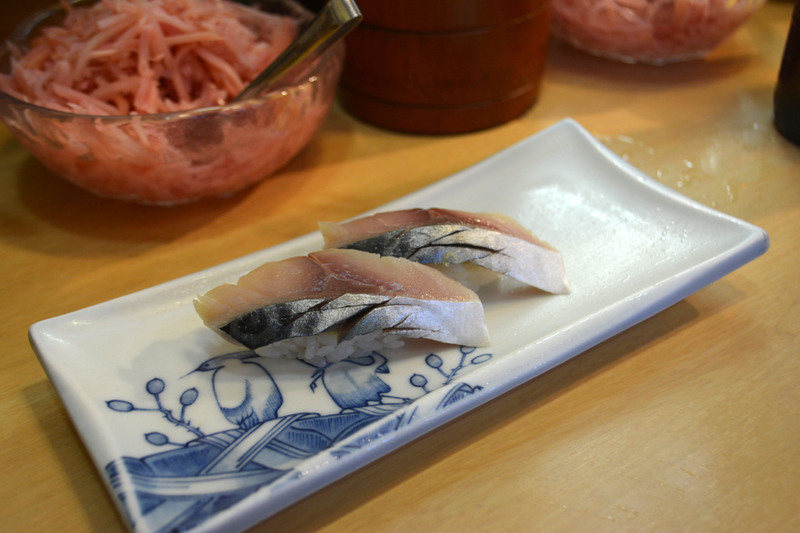 Don’t be shy about asking for the chef’s recommendations: we were served aji (mackerel), which had a sharp kick from pickling, and anago (saltwater eel), which had a delicate and slightly sweet flavor, owing to a glaze of miso.